During his weekly general audience Pope Francis spoke about the gift and call of the Christian family and urged attendees to pray for the intentions of the upcoming Synod of Bishops on the family. At the end of Pope Francis’ spontaneity-filled meeting with priests, seminarians and religious in the cathedral of Naples, the vial of dried blood of the city’s patron saint appeared to miraculously liquefy. 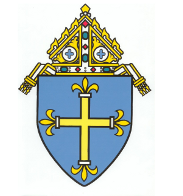 When Bishop Paul Sirba approved a strategic plan in January 2012, it was presented as a flexible plan that would guide him on decisions like clustering and merging parishes for the following five years, with changes implemented as needed. Pope Francis will celebrate the Holy Thursday Mass of the Lord’s Supper at a Rome prison and wash the feet of male and female inmates. Salvadoran Archbishop Oscar Romero will be beatified in San Salvador May 23, said Italian Archbishop Vincenzo Paglia, the postulator or chief promoter of the archbishop’s sainthood cause.